This swap will also include an OPTIONAL contest for the best container as voted on by swap participants. The contest portion is completely voluntary- I will ask at the end of the swap who would like to participate and will put together a separate thread with the contest entries. ALL whimsie swap participants (whether entering the contest of not) will get to vote for their favorite container. 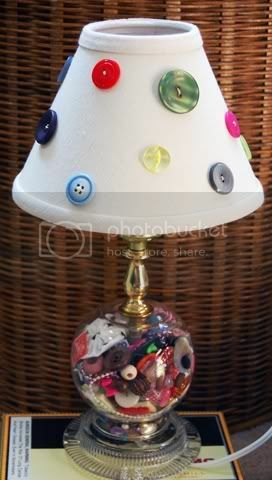 The winner will receive this whimsie lamp. Last round a super-fantabulous prize was donated by the lovely Tero. Check out the contest entries here and the awesome whimsie prize here. Just sent in my survey! Oh how I have been waiting for this swap again!!! Yay! Just sent in my info....yall had to know that I would be in this game. Whimsies make me very happy.